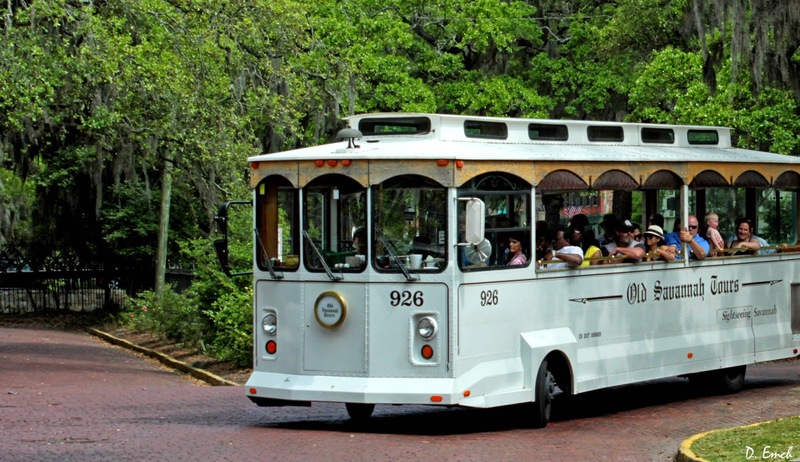 Trolley stop #16 brings us back to the northeast corner of the Historic District of Savannah, where we find the Ships of the Sea Museum. 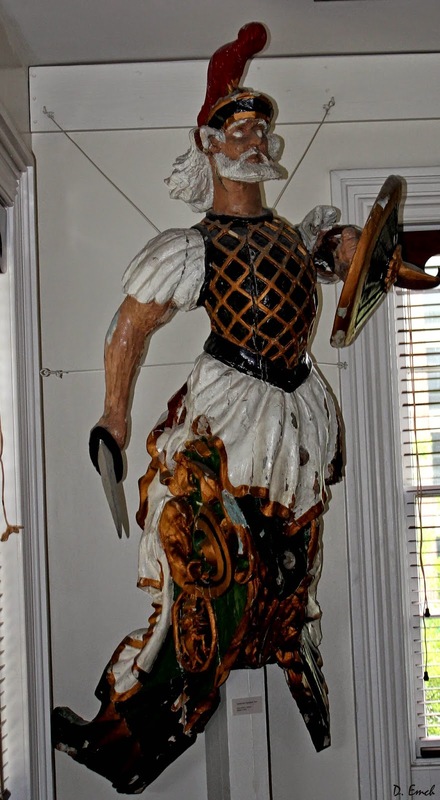 The Museum sits in a house built in 1819 for William Scarbrough, a wealthy merchant and dock owner in Savannah. Scarbrough successfully built the first steamship to cross the Atlantic but went bankrupt in the process. His son-in-law owned the house for a while, then it was an orphanage before becoming the first black school in Georgia. 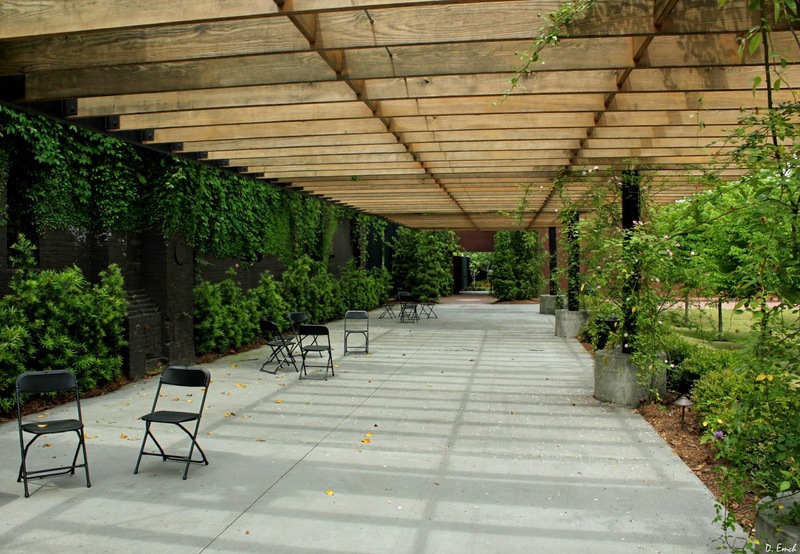 The building then sat vacant for a long time, was restored in 1976 and then again in 1997 when it became the home for the museum. 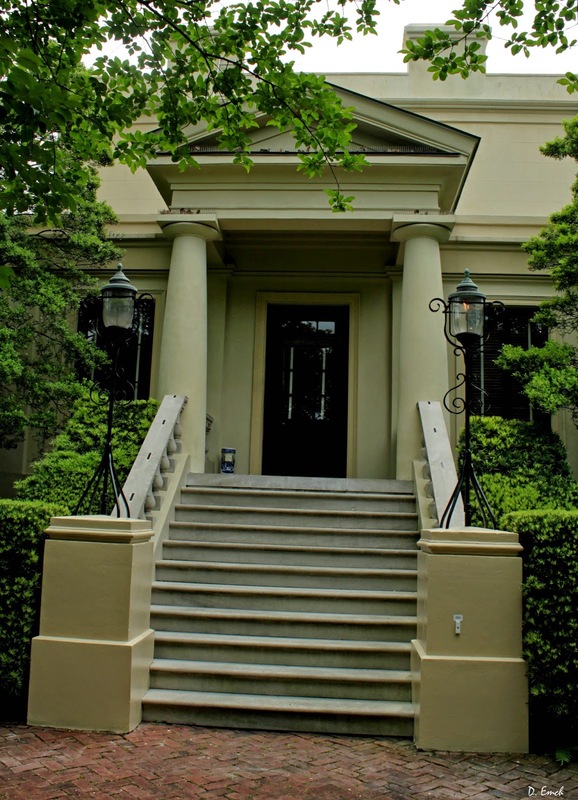 The home has been restored as close as possible to its 1819 appearance. 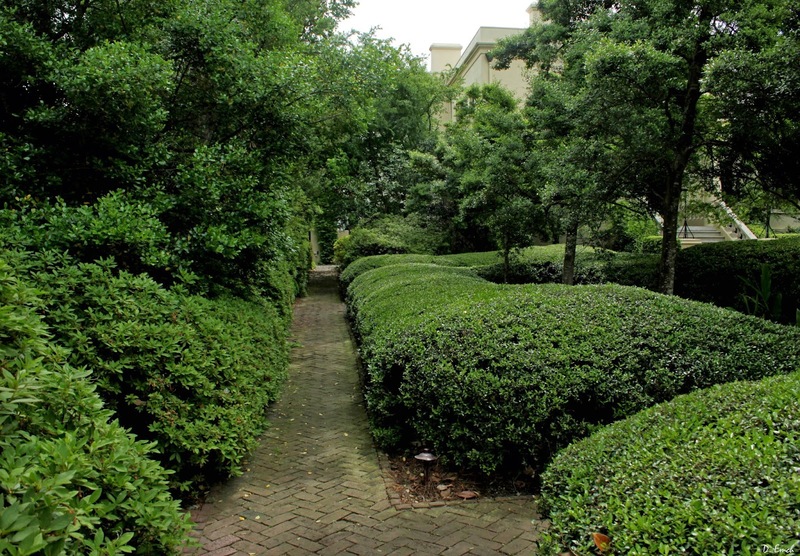 Ample gardens surround the property, a bit of an oasis in the city. 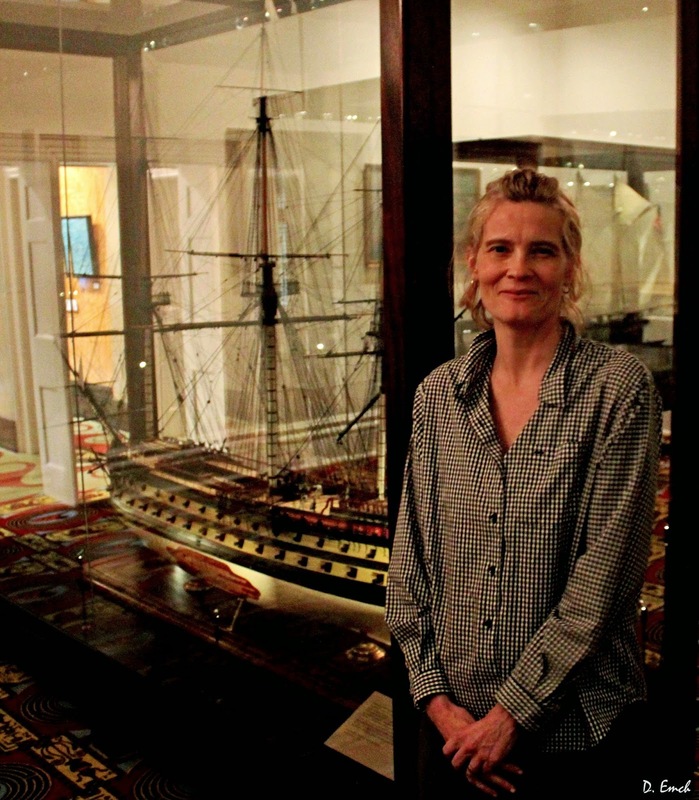 Museum curator Wendy Melton was of great assistance - she told me about the museums beginnings as just a collection of various maritime memorabilia back in 1966. 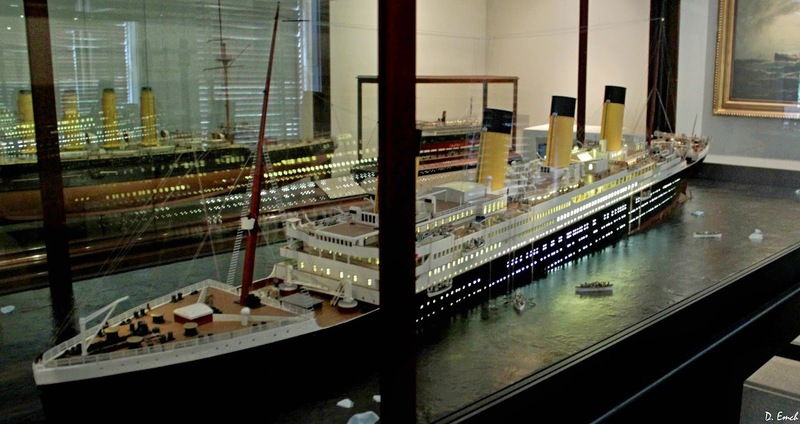 The collection has grown, and dozens of model ships have been commissioned to be built and now sit in large glass cases for easy inspection. As we have seen, shipping has been the lifes-blood of Savannah from the beginning. It is still a thriving port to this day. 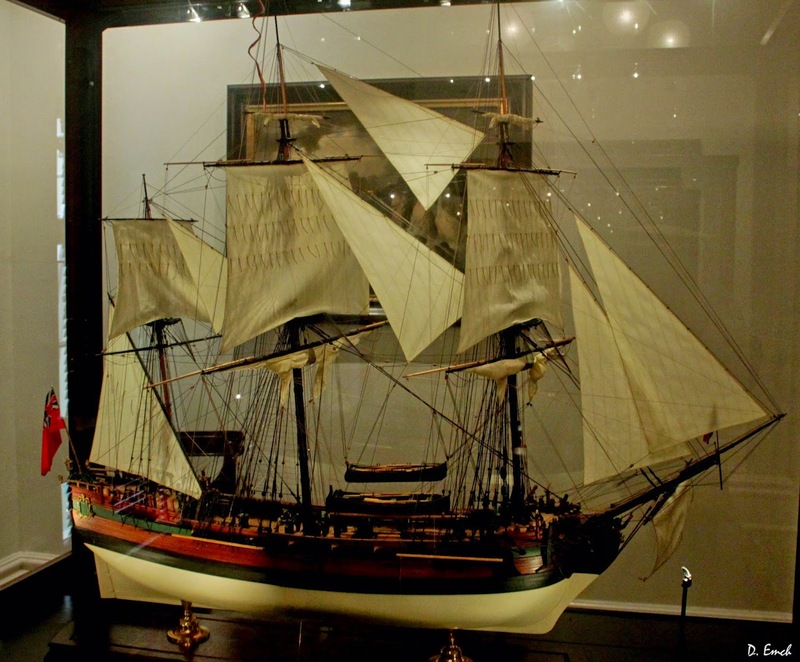 With the exception of a few models that were too large, all of the ships are built on the same scale so that you can look at them and easily compare the size of ships designed for different purposes and built in different eras. From the early sailing vessels through the advent of the steam engine many types of ships are represented here in painstakingly accurate detail. Please pardon the photography - while the museum's lighting is awesome for viewing, it is not so friendly to a camera. 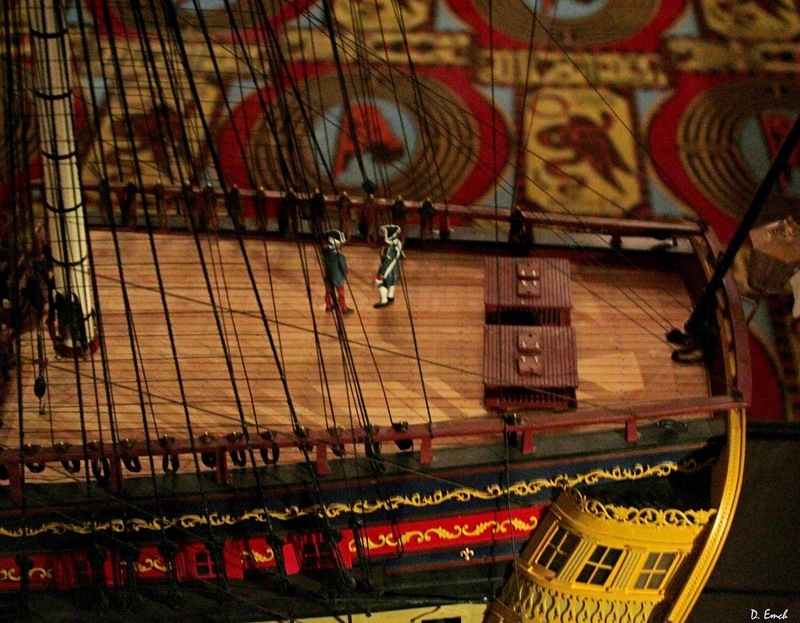 Minute details are tended to - the model ship builder is very good. 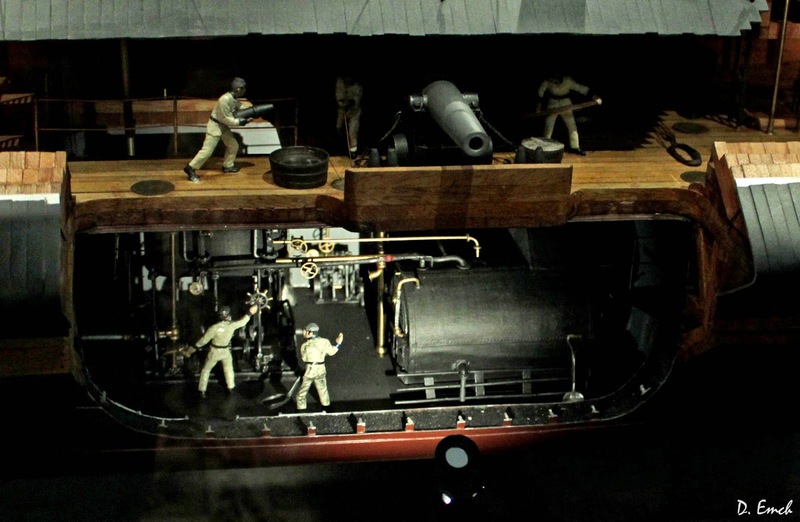 Below is an early iron-sides with a cut-away in the side so you can see the engine and weapons compartments. One of the ships too large to build to the same scale is the Titanic. Here it is shown as it foundered and sank. 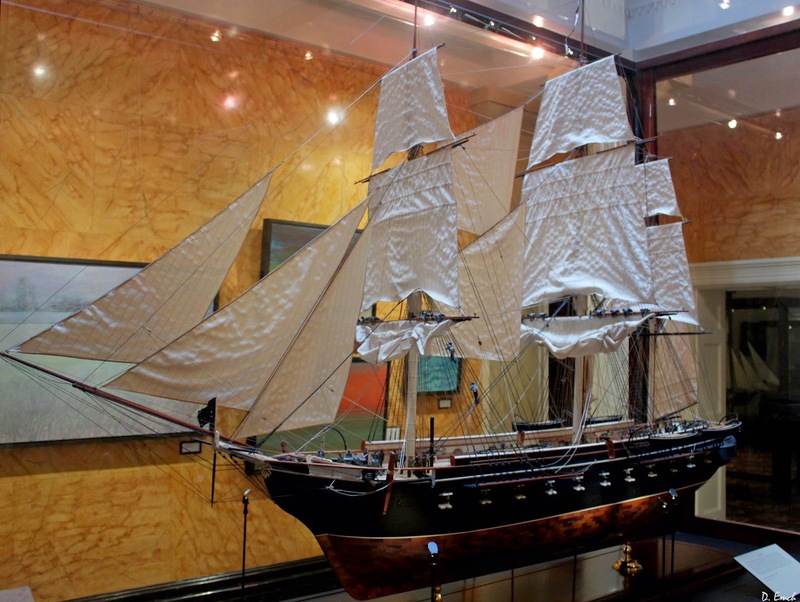 All manner of displays hold items associated with building and operating ships in various eras. 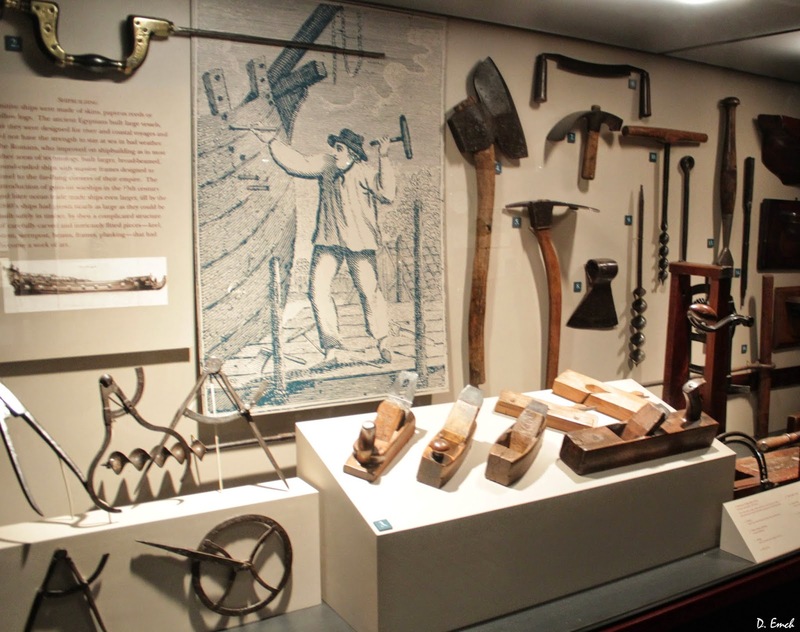 In this first photo are tools used to build wooden ships. 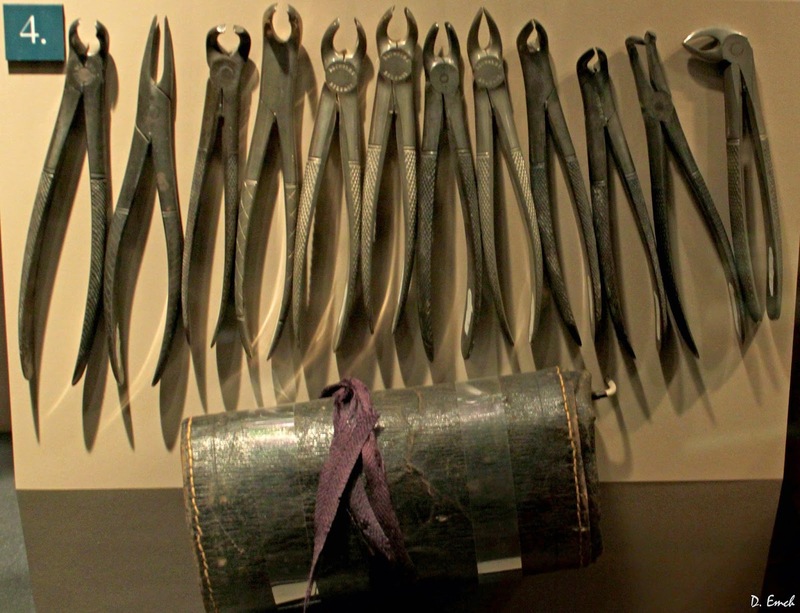 And in this second photo is a set of tools used by a medical officer to deal with dental problems the sailors might encounter. 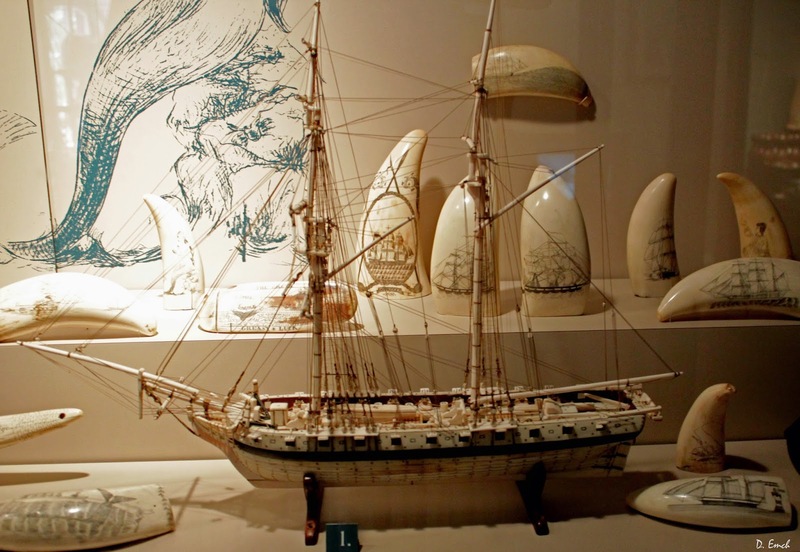 Sailors often have a lot of time on their hands, and here is a ship made of bits of ivory and bone. Also are numerous carvings on ivory of various types. 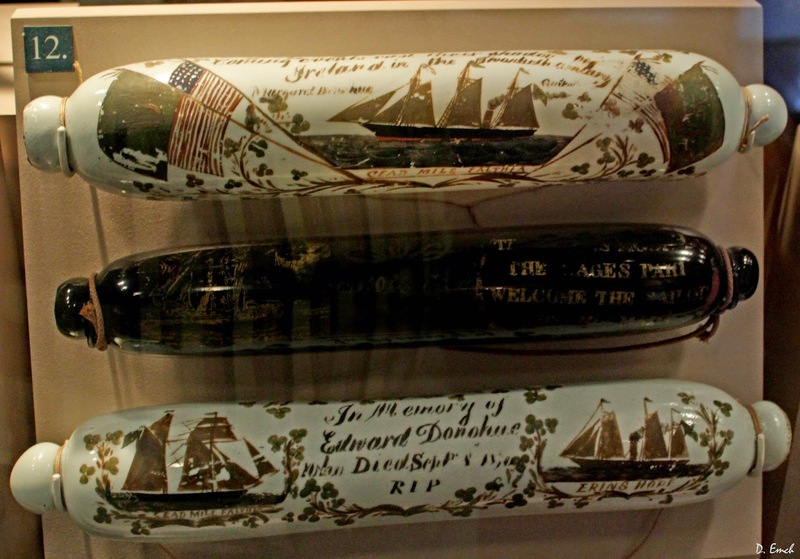 These are rolling pins made by sailors. They were to be left on the fireplace mantle, and if the sailors ship went down at sea they supposedly would fall of the mantle to the floor. 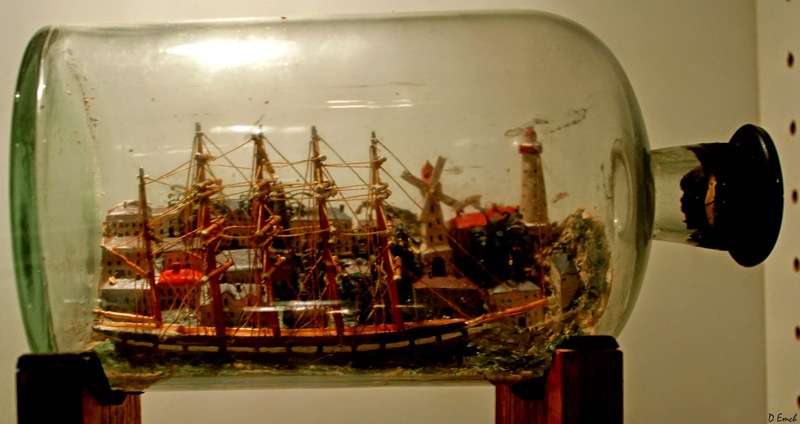 And then of course there are the model ships built in a bottle. The second one is a while little port built in a bottle. Dozens of paintings adorn the walls. 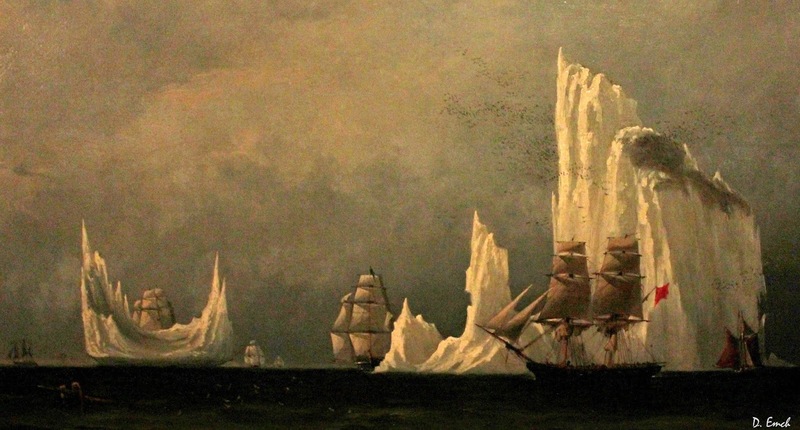 Here is an old painting depicting ships negotiating icebergs. It is a great museum if you enjoy maritime history. There are many educational displays and even some classroom learning opportunities. Well, back over at Old Savannah Tours they have a captain of the ship too. Jim Lucas is Vice President and CFO of the company. He says that is fancy speak for manager. Jim is the father of three ranging in age from 17 to 41. 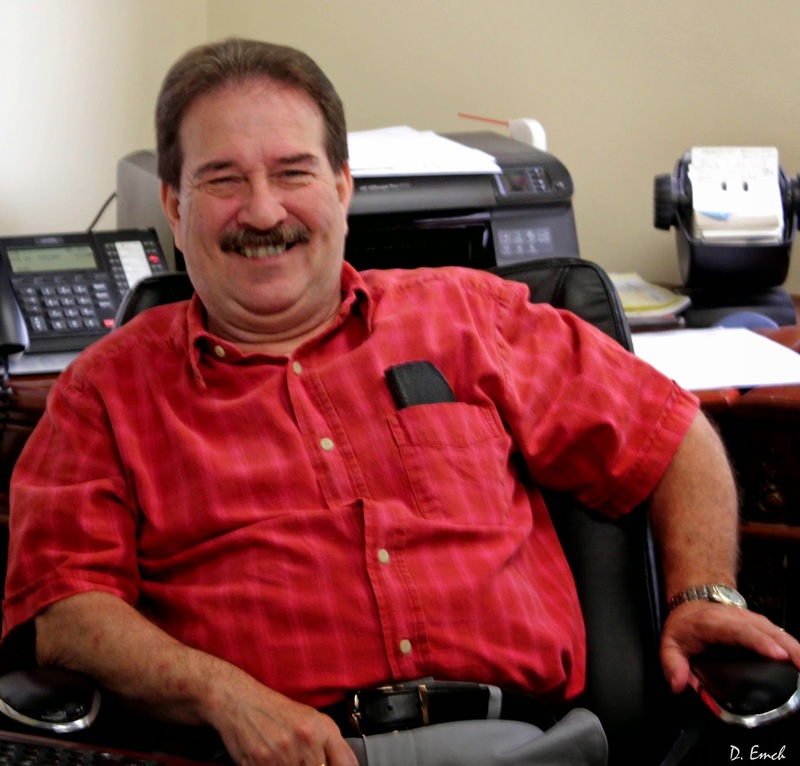 Jim worked 28 years as an administrator on large construction projects. He and his wife tired of the constant travel and settled in Savannah in 2000. After doing a few projects of his own, he started working with Old Savannah Tours in January of 2001. While I was visiting with him, the credit card processing system went down. Now there are 1,000 passengers a day that use the trolley system, and there are numerous ticket selling locations. The scramble was on to dig out old style tickets, write down credit card numbers to be billed later and try to get the service provider back online. With an operation with so many moving parts that deals with this many people it is always something. Jim seems to take it all in stride and just keep the ball rolling. And today's parting shot is of one of those figures that they used to put on the very front of boats. I have seen mermaids, scantily dressed women and others, but this one seemed pretty unique. I hope he wasn't supposed to frighten anyone.